Education facilities require a different approach to planning and managing effective cleaning and maintenance services. 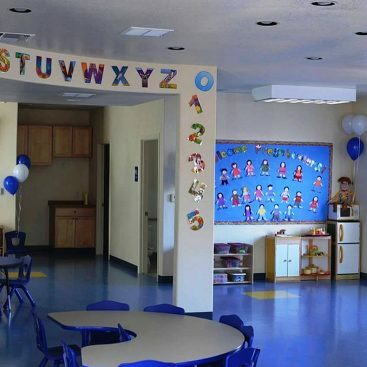 Universal Cleaners Inc’s education facility cleaning provides the highest level of service in educational institutions, meeting or surpassing all the standards needed to ensure the health, safety, and attractive environment for students. Educational institutions are the pride of a community, and Universal Cleaners is dedicated to serving them. Educational buildings require careful, constant, and detailed attention. They are not only busy, high-traffic areas, but the variety of individuals – students, teachers, administrators, and visitors – have a broad range of needs. Universal Cleaners meets these challenges with professionalism, care, and flexibility to the ever-changing requirements of schools. We understand the specific challenges of managing education and institutional environments. That is why you can count on our experience and knowledge at Universal Cleaners Inc to ensure proper cleaning and maintenance services. We provide services to Day Cares, Primary Schools, Colleges, Universities, Technical Institutes, and any Learning Centre. Infection control and the use of non-toxic, environmentally safe cleaning materials are high-priority concerns for Universal Cleaners Inc. To ensure the highest level of safety, all Universal cleaning team members assigned to primary and secondary schools are screened and cleared for vulnerable sector. All back-up personnel assigned to augment staff or as substitutes for regularly scheduled staff is also screened and cleared for vulnerable sector. Keeping schools clean is an important responsibility. Universal Cleaners’ education facility cleaning provides the highest level of service in educational institutions, meeting or surpassing all the standards needed to ensure the health, safety, and attractive environment for students.